Tiga is back! Plush is not as immediate or as irresistible as Shoes my personal choice for best single of 2009, but nonetheless, I happy to report he is back and is as delectably as weird as ever. Plush is co-produced by Matthew Dear, whose own track, Her Fantasy, was one our highlights of the year. For this video, Tiga is surrounded by female models, posing like a painting, which may sound on paper as intriguing, but instead comes across more like watching paint dry. Push appears on his new mix album, Tiga Non Stop. 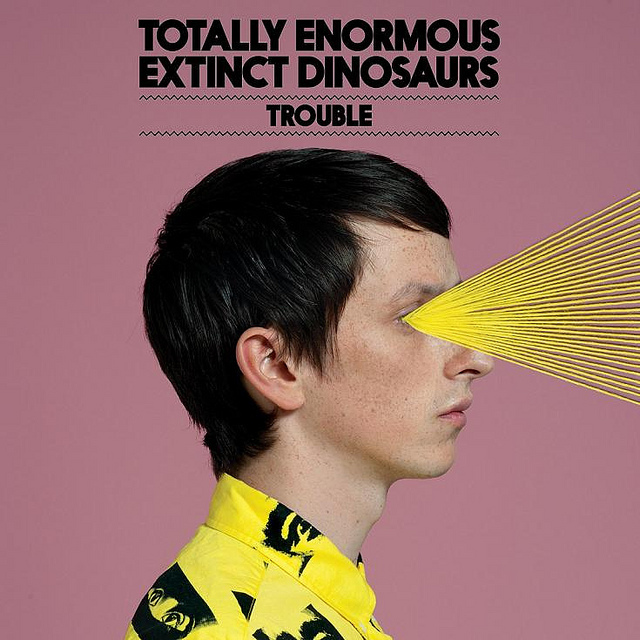 Totally Enormous Extinct Dinosaurs is actually the genius of adorkable, Orlando Higginbottom. His new video, Trouble, begins fantastically as the opening sequence of a movie, set in a seemingly sleepy town in the 80s, and quickly introduces us to a ragtag group of odd house guests. T.E.E.D. appears intentionally dispondent in his own video, casually aware of his increasingly absurd surroundings. Things kick up a notch when he starts wearing a bizarre head contraction that look likes a torture device from the Saw film franchise and everything takes a turn towards the psychedelic. You can think of the video as David Lynch interpreted by Tiga. You are currently browsing the archives for the Tiga category.